Top 10 Anti Aging Exercises You Can Start Today. We all know that exercise helps to increase the strength of the body, provide a boost to muscle mass, and optimizes our health. But, did you know that exercise reverses aging? You might be indulging in those over-the-counter moisturizers and eye creams that promise to reduce the physical signs of aging, such as dry skin, sagging skin, dark skin, and wrinkles. You may be concerned about the natural aging process and the impact that it has on your appearance and your body – as a whole. If you are ready to truly reverse the effects of aging, continue reading to learn about anti-aging exercise and 10 productive activities that will create a healthier, better-looking, younger YOU – all the way down to the cellular level. As we enter and proceed through adulthood, all of our vital organs start to lose some degree of their functionality. Aging does more than just show itself through the wrinkles and gray hairs that we develop. It produces changes that happen in every single cell, every single tissue, and every single organ. In turn, it produces a negative impact on all of the systems within the body and their ability to function appropriately. Aging is a highly complex process that varies from one person to another. Many theories exist about why it results in negative effects on the body. These include exposure to the sun, by-products in food and medication, metabolic issues, and genetic predisposition. Regardless of why, the FACT is, exercises reverses aging. Working out helps to optimize your appearance, your ability to move, endurance levels, and provides you with higher levels of energy. It does not matter how old you are, what issues that you experience, or how you feel – exercise reverses aging. Squats – If you want to stay young, do squats! By doing so, you are working out the entire body – particularly, the hamstrings, the hips, the glutes, and the quads. As a result, it also strengthens your body’s core. These exercises also help to improve your balance and your level of coordination. As an added bonus, squats reverse aging by building up your bone density! Standing Calf Raise – The next anti-aging exercise that helps to reverse the natural aging process is the standing calf raise. This exercise targets the calf muscles – especially the one on the outer section of the leg that aids in shaping and establishing the size of the calves. Hanging Leg Raise – While considered to be a challenging exercise that requires proper training and correct form, the hanging leg raise is an anti-aging exercise that effectively works all of the muscles located in your midsection and the lats. If you want to combat natural aging while building an immense amount of strength, this exercise will help you accomplish your goals. 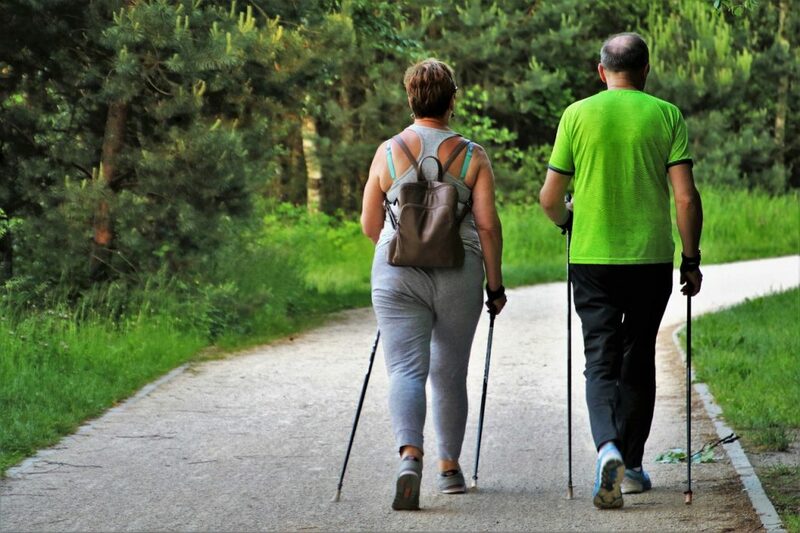 Walking – While it may seem to be a rather common exercise, walking is a weight-bearing activity that helps you…or, rather…forces you to perform against the natural gravity that surrounds you. As a result, both your bones and muscles benefit. In turn, the overall functionality of the entire body is optimized. Climbing Stairs – If you want to provide the lower section of your body with an intense workout, climb stairs! This is an easy activity that will work all of the muscles in your lower section. This includes the calves, the glutes, the quadriceps, and the hamstrings. Best of all, as you progress in this exercise, your bones and joints will build up strength. As you get older, this age reversing exercise will help you enjoy a higher level of endurance. High Impact Movements – While this is not a particular exercise, it is a type of movement that should be performed that is physical in nature. This is why it has made this list. When researching how exercise reverses aging, you will find that most professionals recommend engaging in high impact movements. These include jumping, forceful stepping, and exaggerated movements – as a whole. If you make certain that you perform high impact movements on a daily basis, your bones will increase in density. Arm and Leg Crosses – Now, these are relatively simple exercises. How do they keep you young, though? The secret lies in the fact that you use one limb to cross over the middle of your body to the opposite side. Not only do the movements help stretch and build muscle, but they force the right and left hemisphere of the brain to communicate, which strengthens the brain as a whole. This is an excellent exercise for maintaining youth – especially on a cognitive level. Aerobics – Does the thought of fast-paced aerobic exercise make you cringe? Not doing it will result in such a decline in health that you will cringe! This is a type of cardio exercise that will improve the health of your heart, your circulation, and your brain health – all of which are necessary to remain young! Resistance Training – If you want to reverse your age at the genetic level, resistance training is the way to go! This type of exercise improves the strengths of your muscles and optimizes your endurance level. You may do it by integrating bands, weights, bars, dumbbells, and similar items into your standard work out. Reaction Training – The next anti-aging exercise is reaction training. Examples include playing a sport such as tennis, engaging in the SMARTfit™ training, or Zumba. This improves your body, your reaction time, your ability to retain information, and change direction while maintaining your balance. The fact of the matter is, movement IS medicine. It is the best type of medicine. When engaging in physical activities, you should focus on those that work the mind and the body. When you do, that exercise will reverse the aging process.